Food allergies have always been an issue with diners, but in recent years there has been more of an effort to identify and treat them. 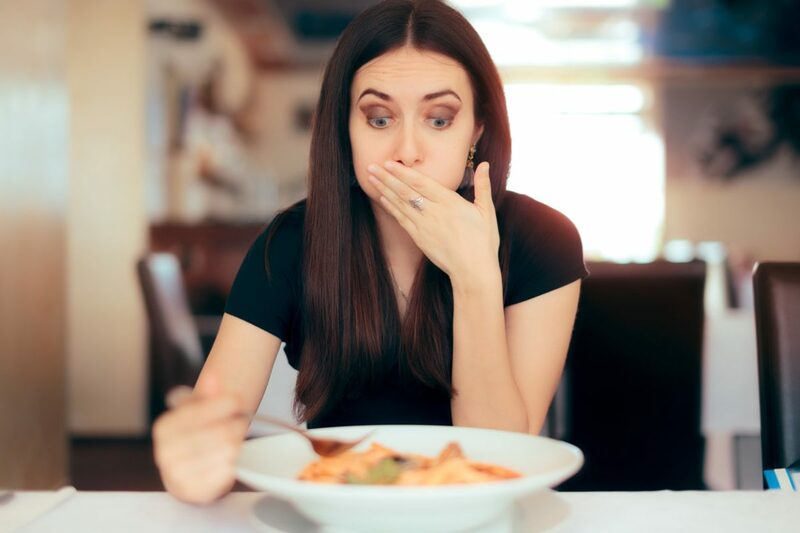 The number of people with gluten and other allergies has increased immensely, which has resulted in a sharp rise in food allergy-related restaurant insurance claims. According to a study released by the Food Allergy Research & Education (FARE), food allergy-related claims are becoming more common in the United States. The study showed that claim lines with diagnoses of anaphylactic food reactions rose 377 percent from 2007 to 2016, meaning that now is the most important time for restaurants to be proactive about preparing for and preventing these types of issues. Even if a restaurant is known to be highly trained and aware of the myriad of food allergy issues and has never had a problem with claims and harming customers, it doesn’t mean it cannot happen at any time, with any meal. It’s important for restaurants to invest in a safeguard policy like a restaurant insurance plan. This fully comprehensive policy provides financial protection for restaurants while they are going through a claim. Litigation, court fees and losses related to claims can add up, so having restaurant insurance in place will provide peace of mind needed to continue to operate. Allergies are serious issues and should be treated as such by the restaurant staff. While it’s important that customers inform staff of their allergies, restaurants should be proactive in educating staff on the severity of the matter. Restaurants need to begin—if they haven’t already—crafting menus and plans around preventing food allergy claims and issues. Being aware of these problems is the first step toward being mindful allergic reactions from customers. Restaurants can also post signage that encourages customers to discuss their issues with waiters and server support staff or include a note on the menu itself. Servers can offer customers substitution options as well as take notes down about preparing their food away from items they have an allergy to. Another way to be proactive is to make a list on restaurant premises of all the ingredients that are included in each dish. Customers may feel more comfortable seeing the ingredients themselves to make sure they aren’t allergic to anything included. If staff members do not know the ingredients, they should be encouraged to ask and make sure of what’s in each dish. As mentioned above, having a special menu or special items available on the menu related to food allergies can be helpful for customers. Some restaurants print a different menu every night including gluten-free menus, shellfish-free menus, and vegan menus. This makes it much easier for those on restricted diets. While preparing as much as you can is a great way to cut down on allergy problems, there are still times when someone has a problem. Restaurants should create a plan in case a customer goes into shock or has a reaction. Staff members need to be able to immediately contact emergency medical services or have EpiPens stocked and ready for those who suffer a reaction at the restaurant.